Providing employees with an on-site place to smoke within a facility keeps smoke break time to a minimum. 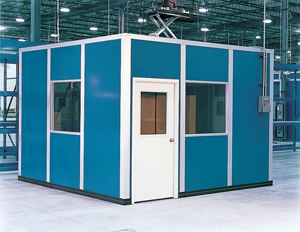 Smoking booths are often similar to break rooms because by building a dedicated smoking facility within the plant, workers can stay closer to the operations area during break times. Smoking booths can often also be found in areas such as airports, bus terminals and other public places to confine smokers in otherwise smoke free zones. Some companies are even choosing to install filtration units, creating cleaner areas, so that all the smoke is filtered out of the air and is not released into the main facility. PortaFab also manufactures a complete line of outdoor smoking shelters.